Sometimes people assume that there is no need to add hydraulic fluid to a hydraulic motor before it is installed because the fluid circulates through the system. This is incorrect, and the dry start that results in can seriously damage your hydraulic motor. In this Shop Talk Blog post, we are going to discuss why this assumption is incorrect, what kind of damage can result, and what you need to do in order to prevent a dry start. 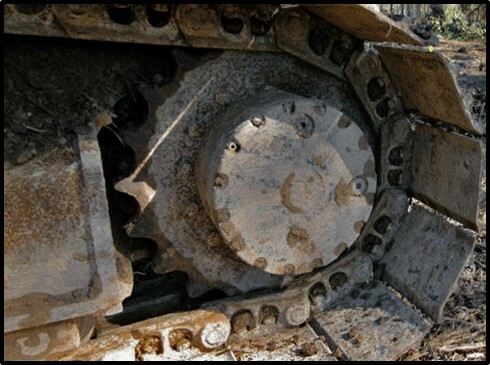 When you install a final drive motor on a loader or excavator, you don’t forget to match the hoses to the ports or tighten up the bolts needed to secure your final drive. What is often forgotten, however, is the need to add hydraulic fluid to the motor before starting it. When you do forget this, your hydraulic final drive motor is subject to a dry start. While it is true that the hydraulic system will circulate fluid through the motor, it will not be able to circulate fast enough to prevent damage to your motor. 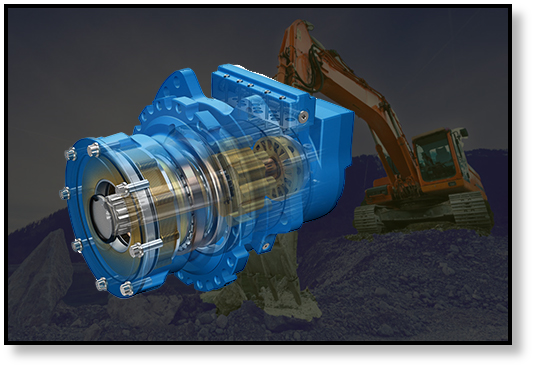 When you start a hydraulic motor without enough hydraulic fluid, the result is metal-to-metal contact between parts and components. Bearing components, bearings and shafts, splines and couplers, pistons and swash plates all interact with each other but without the protection of lubrication. While this metal-to-metal contact may not last for very long, it lasts long enough to cause damage. 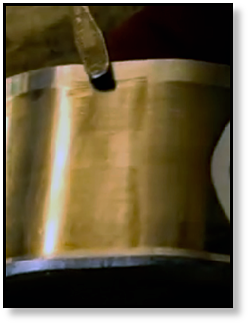 In the image shown, you can see scarring on a cam ring ring that is not unlike the abrasive damage your hydraulic motor may experience. Sometimes it can take an hour or so for all the parts to be sufficiently lubricated by the hydraulic fluid (depending, of course, on the size and type of hydraulic motor). This kind of contact will cause scratches, scarring, and abrasion. This damage can then lead to metal flakes chipping off and causing damage to other components. These flakes will eventually be be caught by a filter but they are a form of contamination. The type of damage described can dramatically shorten the life of your final drive motor. At the very least, the efficiency of your motor will be severely affected. Dry running is similar to starting your car's engine without any oil in the crankcase -- a very bad idea! If you are installing a final drive hydraulic motor, add fresh, clean hydraulic fluid to the hydraulic case before you try to run it. It should be the same type of hydraulic fluid used in the system. The fluid must be fresh and clean, otherwise you will introduce contamination into the hydraulic system. Note that the hydraulic fluid should be added before the case drain line is connected. Remember that hydraulic fluid serves the dual purpose of transferring power and supplying lubrication. Adding hydraulic fluid to a final drive only takes a few minutes, and is an important installation step. Failure to do so can void your warranty and will cost you money for repairs, not to mention the downtime caused when the final drive motor fails prematurely.